In 2001, at the age of six, motorcycle racing fan Todd participated in his first race, the North East Motocross Club (Autos), where he placed an impressive 4th. He returned the following year to win the competition at 7 years old and this was the start of a brilliant winning streak for Davey who went on to win the Vale Motocross Club (65cc) competition in 2003. This was only the start however as he moved onto the British Enduro Championship (Under 10’s) races in 2004 and 2005, where he came in 1st place in both. The same results followed in 2006 and 2007, this time in the Northern Enduro Championship (Under 12’s), and moving up to the Northern Enduro Championship (Senior B) level in 2008, Davey (of course) won that title as well! From 2001, Davey has been in the top 10 in every competition he has competed in, including being runner-up in the 2009 Vale Motocross Club Youth Open Championship, 3rd in the 2011 British Supermoto Championship (250cc), 6th in the 2012 British Supermoto Championship (Open Elite) and then 2nd in the same competition in 2013 and 2014. The following year saw Davey switch to the tarmac where he promptly took 1st place in the Thundersport GB Elite Stock 600 Championship. Davey started to draw real attention when competing in the National Superstock 600cc Championship in 2016, where, riding for Morello Racing Kawasaki, he finished in an impressive sixth place which included race wins at Oulton Park and Brands Hatch and fourth at both Silverstone and Donington Park. Davey continued with the same team in 2017 and third place in the opening round of the National Superstock 600cc Championship at Donington Park made him one of the favourites for the title. However, soon after he decided to turn his focus to road racing with his debut coming at July’s Skerries 100 where he immediately impressed. Indeed, his fine display saw him take two fourth place finishes as well as fifth place in the Open Race and with strong performances at both the Barry Sheene Festival at Oliver’s Mount, Scarborough and the Armoy Road Races he was certainly catching the eye of many. August 2017 saw him make his Ulster Grand Prix debut and he achieved a brilliant 2nd place finish in the Dundrod 150 National Race which led into the feature race day on Saturday. In the opening Supersport 600cc race, Davey took a solid 17th but the second race saw him, amazingly, in contention for a top six finish. However, having lapped at a superb 125.503mph, he was cruelly forced to retire on the fifth lap of six but his performances gave him great encouragement going into 2018, where he would be a newcomer at the North West 200, Isle of Man TT and numerous Irish National road races. 2018 was Todd’s first full road racing campaign, and having been signed to ride for former racer John Burrows’ BE Racing team, he’s made quite a name for himself since. On his Cookstown 100 debut in April, Davey managed 8th in the Open A race, 7th in the Supersport Invitation, and 10th in the Supersport A race but the highlight was finishing on the podium in the Supertwins encounter – where he came 3rd – just a few hundredths of a second adrift off second. A week later Davey headed to the Tandragee 100, where he managed 7th in the Championship Open race. At the North West 200, the 22-year-old was named the top newcomer after a number of brilliant performances. A series of fine rides saw Davey finish 12th in both of the Superstock races and also the opening Superbike race with his consistent run followed up by an impressive 13th place in the feature NW200 Superbike race. 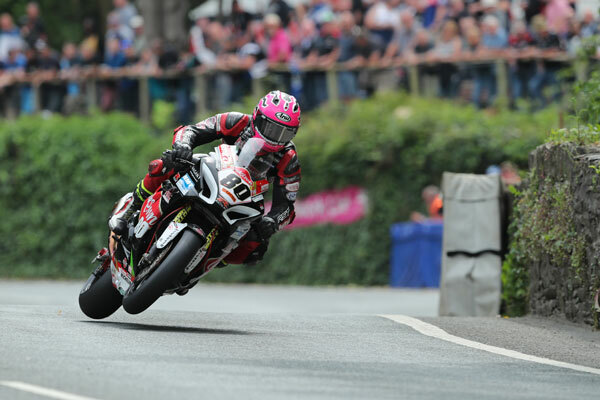 This fine form set Todd up nicely for his first appearance at the big one – Isle of Man TT. When a rider is making their debut at the TT they can sometimes go under the radar as they gain experience on the 37.73 mile Mountain Course and before the races Todd had said he was heading to the TT simply to ride as fast as he could, have fun, and gain the experience needed to compete at the front in the future. Race week saw Todd somewhat go further than these expectations. After a strong 16th place in the opening Superbike race, Davey then took an excellent 12th place in the opening Supersport race and from that moment on he simply got better and better, claiming his first top ten finish in the Superstock race with 10th place where he not only won another silver replica but also lapped at 127.890mph to become the second fastest newcomer ever to have lapped the 37.73-mile Mountain Course. Only Peter Hickman has lapped quicker as a course debutante. 12th place was again the outcome in the second Supersport race but he saved the best until last with the Blue Riband Senior race seeing him not only finish in a brilliant ninth place on the Suzuki GSXR1000 but also lap quicker still at a superb 128.379mph. 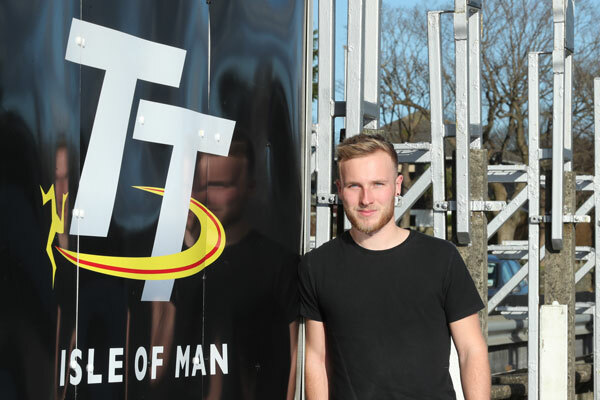 It rounded off a remarkable TT fortnight for the newcomer and he came away with a haul of accolades which included the TT Newcomers Trophy, the TT Privateers Championship and the RST ‘Star of Tomorrow’ Award for 2018. Todd’s remarkable first full road racing season was not done there and following the TT he impressed at both Walderstown and Faugheen, claiming a number of podium finishes. Next up was the Southern 100 on the Isle of Man, where he achieved further podium finishes, taking second in the very first race of the week, the Corlett’s Trophies 600/1000 race. Fourth and sixth was the outcome in the two Senior races and he then took 3rd in the Solo Championship race to cap another successful meeting in the Isle of Man. Top ten finishes were taken in all of the other classes and a lap of 112.571mph not only made him the fastest newcomer in the history of the event but also the eighth fastest rider of all time! More terrific performances came at the Ulster Grand Prix, where Todd placed a brilliant fourth – less than half a second off the podium – in the Superstock where he lapped at a stunning 132.605mph and he matched the result in the opening Supersport race. Fifth was also taken in the Supertwins race but he then fell heavily at Deer’s Leap whilst chasing a podium place in the Superbike race and he was subsequently taken to hospital. Thankfully, Todd did not suffer any broken bones in the high speed spill and was able to compete in the Classic TT later that month although it was a stark reminder of how the sport can bite back as much as it can reward. Eighth in the Junior race at the Classic TT was followed by a good performance at the Frohburg road races in Germany where he was riding for the Penz13.com BMW team and he continued with the team for his Macau Grand Prix debut in November. Ninth place around the challenging Guia circuit capped an unbelievable road racing year for Davey Todd where he quite literally burst onto the scene. The Northumbrian has subsequently signed for the Penz13.com team for the 2019 season and, definitely one to watch in the future, we predict very big things in the season ahead!